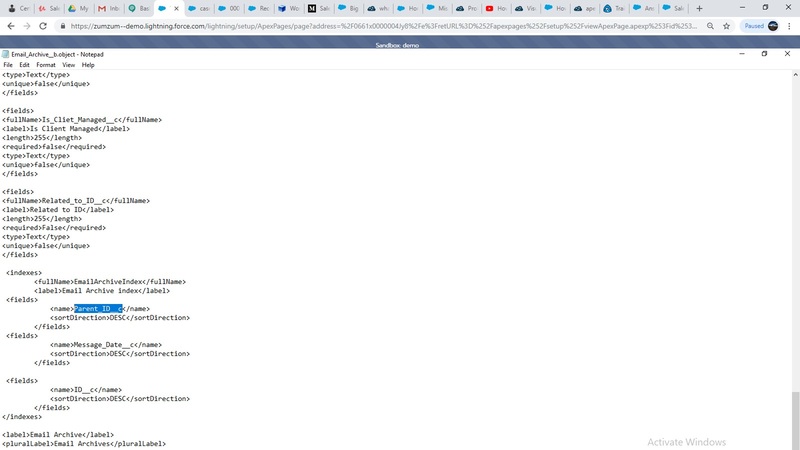 IF you look at the above sceenshot The case is "test case 1" and Its ID is "00014319" but the data is shown of all the case's Emails. Is there a way where i can only see data of the related case on their Specific VF pages.what should i change in my apex class and VF coding that i can get the required result when i import data. For SOQL queries with big objects, you have to build your query starting from the first field defined in the index, without skipping any fields between the first and last field in the query. So for example, if your index defines three fields, you can’t create a query using only the first and third fields. and can then use that id in your SOQL filter. Not the answer you're looking for? Browse other questions tagged apex visualforce data filters big-object or ask your own question. 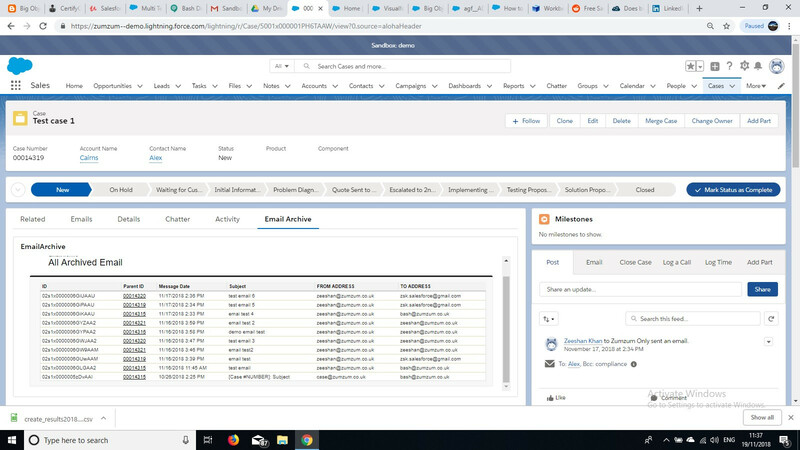 How to using the Big object in visualforce page?